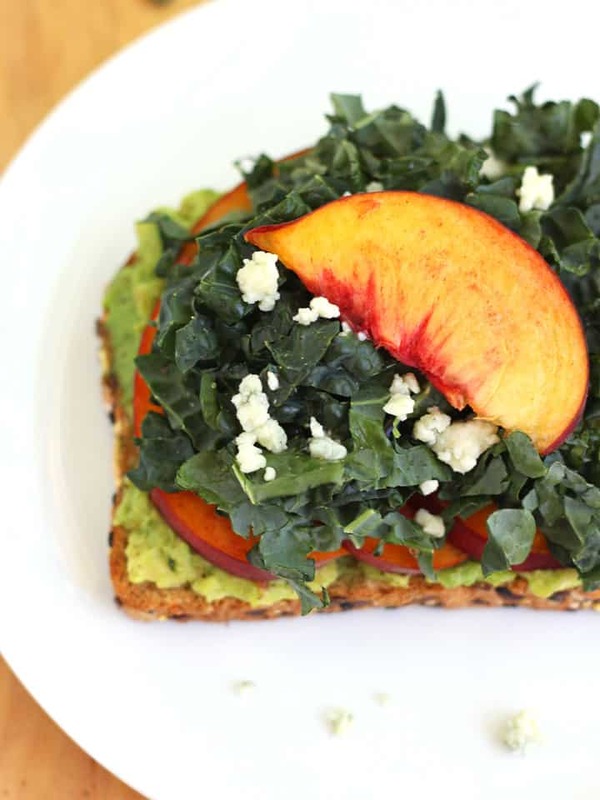 This quick Peach Avocado Toast features heart-healthy avocado, kale and sweet summer peaches. Under 400 calories and only 10 minutes to prepare! 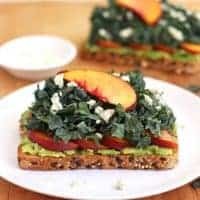 If you have been melting in the August heat too, this bright and creamy Peach Avocado Toast is the cure for your temperature woes. You barely have to turn on the toaster oven. Just long enough to make a golden crispy toasted base to build on. From there it’s a bunch of fresh produce, small helping of bold cheese and a drizzle of refreshing white balsamic vinegar. August peaches are soooo the best peaches. Always perfectly juicy and sweet. Even though we’ve probably devoured about 50 peaches this season and a few too many Peachy Pita Breakfast Pizzas…I’m still not over them. A sweet juices-dripping-down-your-hand kind of peach makes an ideal counter to kale’s bitterness. And the tang from Gorgonzola or any blue cheese you use gives this toast a yummy salty-sweet quality. But avocados aren’t just the ultimate team player. They have enormous health benefits too! Avocados are packed with vitamins, fiber and a ton of Oleic Acid. Oleic Acid is what you call a heart-healthy fat, it works to reduce your risk of heart disease and strokes. 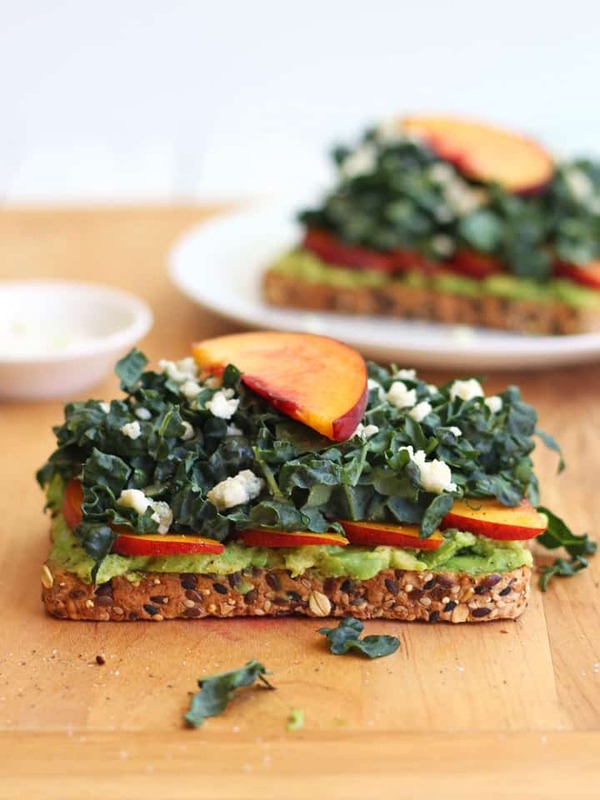 But the avocado isn’t the only one working for you, this Peach Avocado Toast is brimming with so many nutritious ingredients! 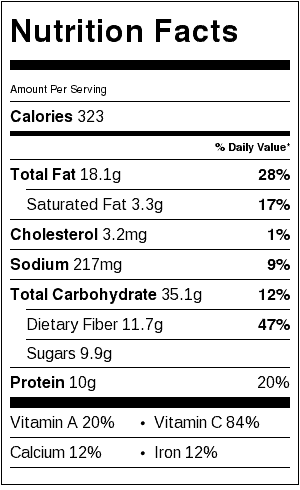 Just look at the nutritional breakdown; I’m talking under 400 calories, 13 grams of fiber, 9 grams of protein and a handful of vitamins and minerals. All that and less than 10 minutes to prepare! A deliciously simple and quick vegetarian meal for two. Toast bread until golden and crispy. On top of each slightly cooled toast mash avocado slices. Arrange peaches into a single layer on each toast. 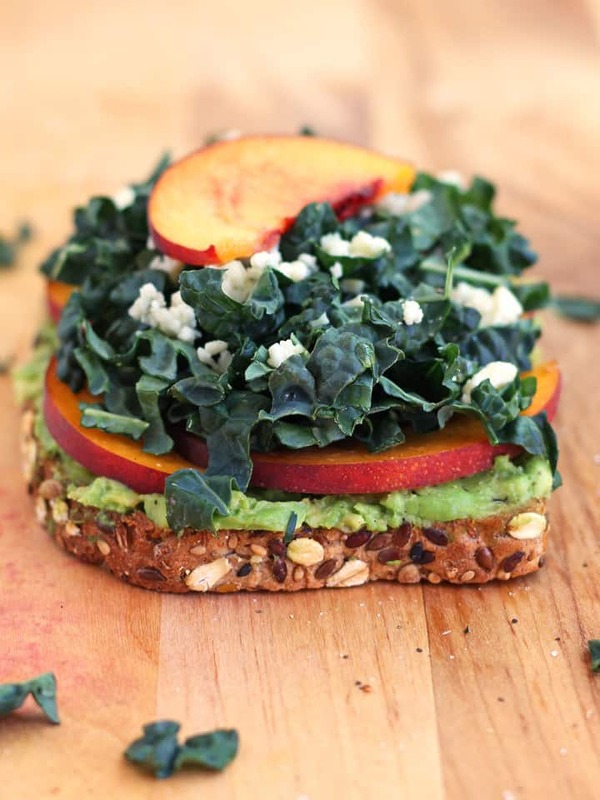 Top peaches with kale. 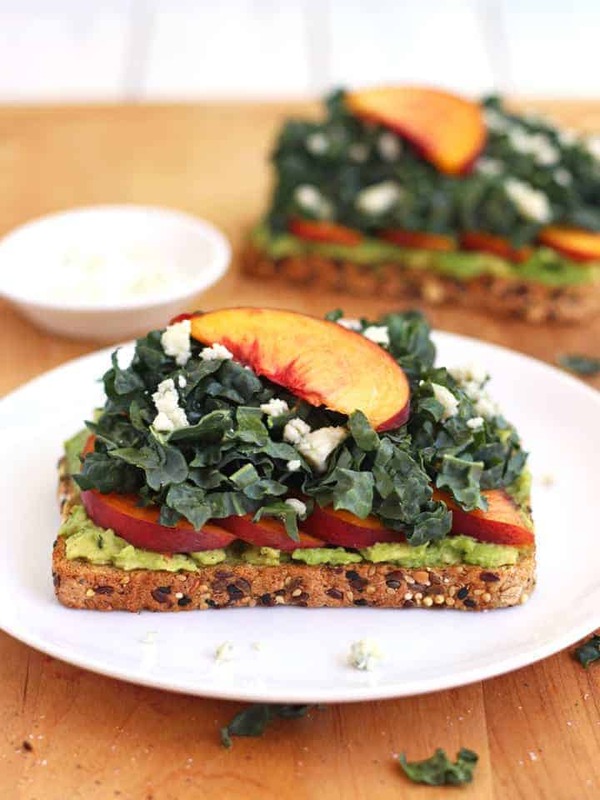 Drizzle kale with vinegar, sprinkle with gorgonzola and top with remaining peach slices. Nutritional Information is an estimate for 1 Toast.